Well, I've not been on for some time. The summer is always busy for me, and this summer added in moving house too. 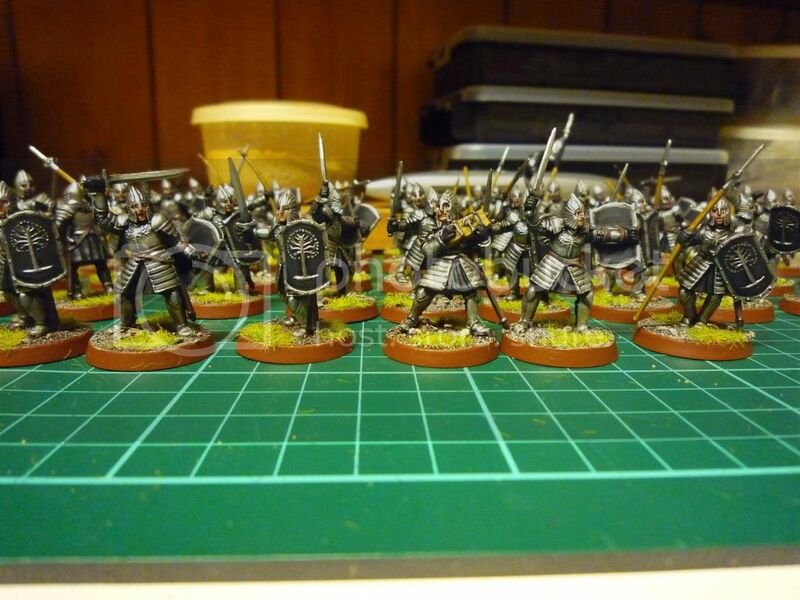 I've managed to get some painting done though (and am managing more now that I have a dedicated space! 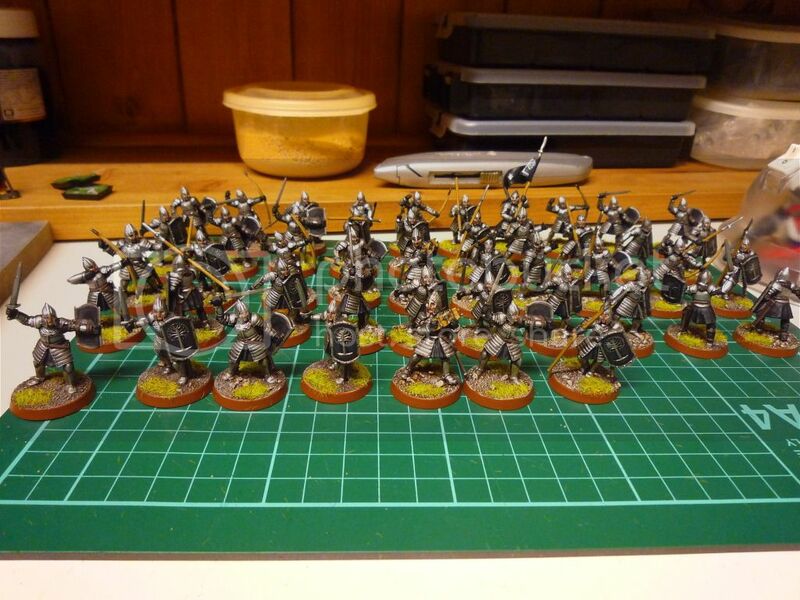 Project Gondor has progressed well, with all the basic troops and siege crew being finished. Out of the first batch I just have 6 command to complete. 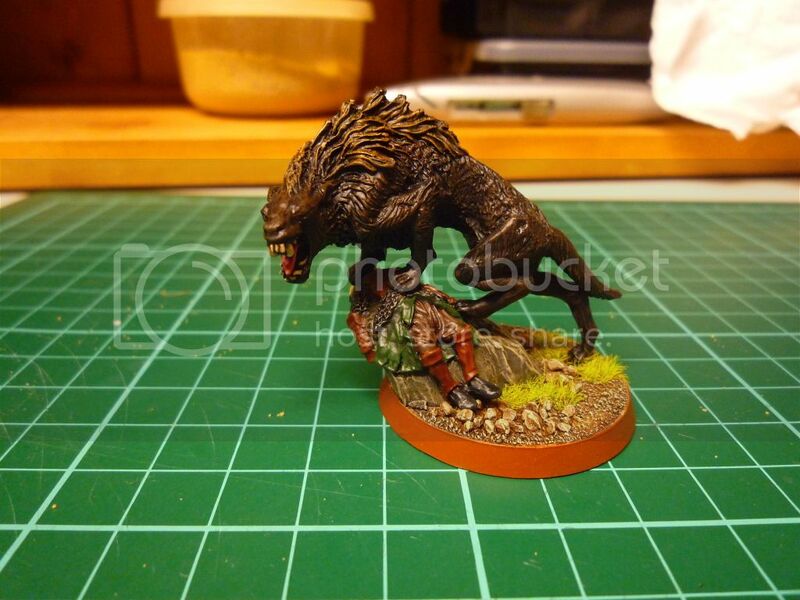 I also completed a Warg Chieftain to relieve the boredom of painting armour and black cloth!